Let’s be honest. We are all pretty much attached to our phones during our waking hours. And some of us even in our sleep! One thing that is a priority when you own an iPhone 6 is to keep it well protected. The new OtterBox uniVERSE Case System allows you to protect your iPhone 6/6s and iPhone 6 Plus/6s Plus but still use all of the amazing features without removing the case. OtterBox starts with protection but never ends there. 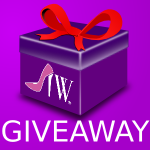 They have partnered with the world’s leading consumer electronic brands to create an entirely new platform. With the uniVERSE Case System, you get the specialized capabilities of their module partners — backed by trusted OtterBox protection! The uniVERSE case features a slotted rail under its removable accent plate, letting you securely attach and easily swap out modules like batteries, card readers, speakers, camera lenses and more. The remarkable thing is that you can do all of this with never having to take the case off! 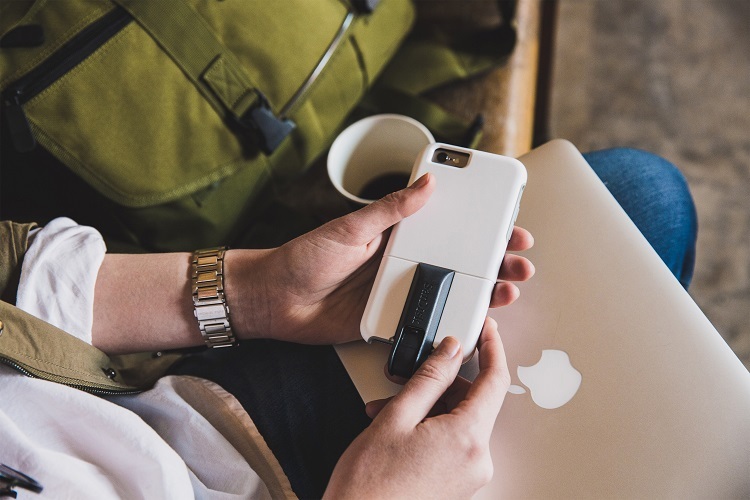 Grow your business with the uniVERSE case and a Square Contactless & Chip reader. 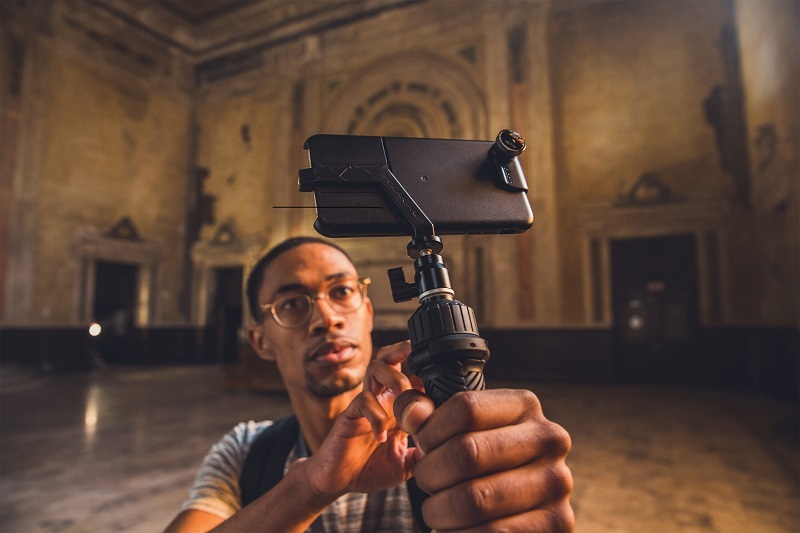 Capture the perfect shot every time by equipping your phone with the uniVERSE case and an olloclip 4-in-1 lens kits or a Polar Pro tripod. 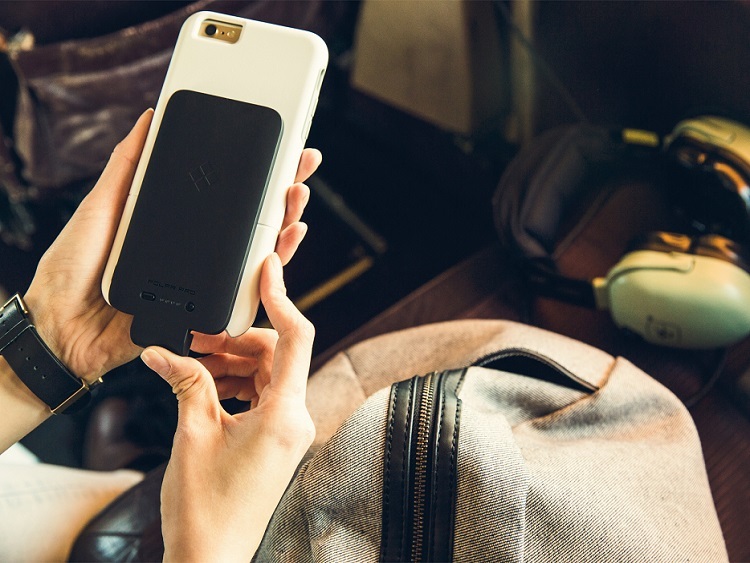 Paired with the uniVERSE case, this battery lets you pack along some extra juice when heading off the grid for extended periods. Expand your phone’s data with this SanDisk iXpand flash drive. Designed to work with the OtterBox uniVERSE case, this drive secures via the slotted rail and connects straight into your phone for an instant memory upgrade. Store even more video, images or apps using this SanDisk iXpand flash drive and transfer to other devices. In addition to the modules mentioned above there is a Seek Thermal (thermal camera) and Steelie (vent mount for your car) module! You will also love this case because it is ultra slim with a sleek design and easily slips in and out of pockets and purses. The removable accent plate easily slides off so you can mount the modules without problems. This one-piece case slips on and off your device in a flash and best of all it offers that awesome OtterBox Certified Drop+ Protection! 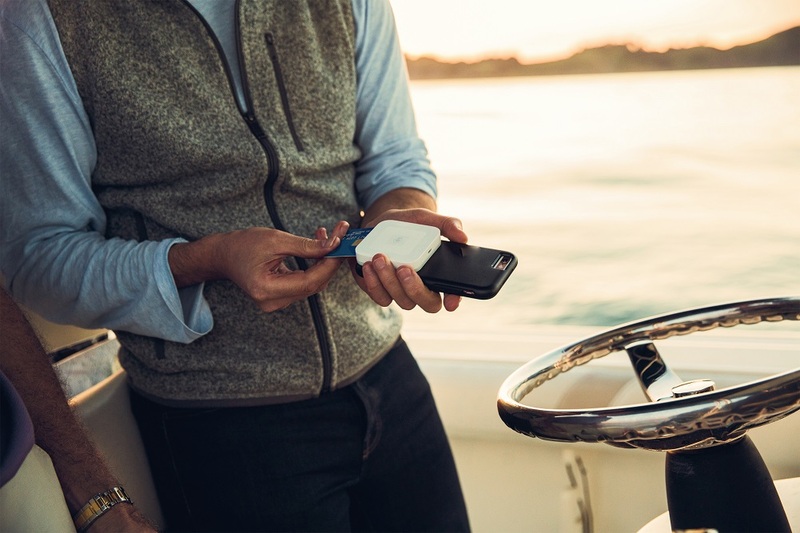 If you depend on your phone for your business or personal life and are ready to take your phone to a whole new tech level, without the hassle of having to remove the case, check out the OtterBox uniVERSE Case System at Best Buy! Retweet this tweet so everyone can see how awesome this case is! Wow, just wow! I’m a big Otterbox fan and would never leave home without my phone in one of their cases. I’m not so sure I’m ready for this one though but it does seem rather fascinating. I love Otterbox, but i don’t have an iPhone. They are so durable! These cases work really well. I’m so clumsy and always drop my phone. We are Otterbox fans and this sounds pretty awesome! Too bad it is only for iPhones since we only have Android. This is the best idea in cases ever! I’ve always hated that putting protective case on my phone put such limitations on what other gadgets I could use. Not anymore! Huge fan of otterbox! I have always had one! I love finding out the latest gadgets for my phone. This one has some features I could really use. I am so clumsy I have to have a good case on my phone!! I love all the possibilities with this case! I’ve heard nothing but great things about OtterBox cases. And it’s so cool that you can upgrade your memory like that! Ooooo this case sounds fantastic!!! I need one for my phone since I’m constantly dropping the thing! I am not familiar with otterbox cases but sounds really useful! I will check this soon if available in our country. Otterbox looks like some interesting tech. I don’t own a iPhone, but I will be sure to tell my brother-in-law about it, as he is a big Apple Product guy. I need that Polar Pro Power Pack in my life! I’ve been thrilled with every Otterbox product I’ve ever owned. This is the perfect phone case! I love all the great features, especially the Polar Pro! I always run out of battery before the day is over. I agree Mobile has become an important part of our life & it is very important to keep them safe & secure as well. OtterBox cases are of great quality & standard and I love that Olloclip right away being a selfie lover! I love Otterbox cases because they really do protect your phone. When I had mine in an Otterbox case and dropped it, it didn’t break in any way. I wish I’d had my phone in this Otterbox case when I dropped it last month. When I purchase a new phone I’m definitely investing in an Otterbox. I need this case badly.. Just bought a new phone and was looking at cases.. now I found the one I want…. I love Otterbox! They definitely make the best, most durable phone cases! 🙂 I love how this one allows you to remove sd cards and stuff while still having the case on, how cool! Love otterbox! Can’t wait until they make one that is waterproof! These are cool! I love the styles and colors ! This sounds like an awesome case. I love the fact you can do so many things without having to remove the case. I also love that it protects it in case you drop it. My hubby has an otterbox and loves it…I need to purchase me one too! I would like to try OtterBox. I think it looks interesting, so I would like to see it and check it out.